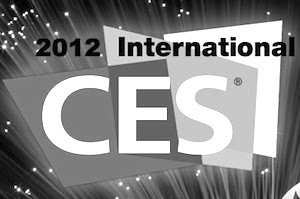 2012 starts off on a geeky note, with the most awaited technology event around called CES (Consumer Electronics Show). The event, considered as the Mecca for geeks, nerds, and tech journalists, has been hailed as the ultimate place to showcase your innovative products. This year, CES saw some big changes taking place. The most important one was that this was the last CES event for Microsoft. On the other hand, our beloved Ubuntu made its first ever appearance at the event, and yes, it was a huge success. Now, moving on from Ubuntu to another Linux-based OS, our much-adored Android showcased some amazing new tablets and smartphones at the event. And yep, we’ve got the best of those head-turners in this article just for you. 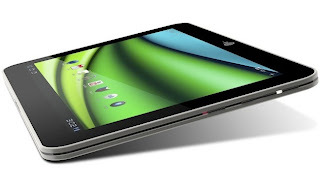 Toshiba Excite X10, the thinnest tablet computer at CES, has become quite popular among tablet computer enthusiasts. The most ‘exciting’ thing about Excite X10 is that it comes with Android 4.0 Ice Cream Sandwich, which is the latest and the greatest that Android has to offer. Weighing in at just 1.2 lbs., this sleek beauty is powered by a dual-core 1.2 GHz OMAP 4430 processor. To make sure you can multitask smoothly, there’s about 1 GB of RAM. For the photo-enthusiast in you, there’s a 5 MP camera at the back, and a 2MP at the front. The price of this coveted device is $520 (16 GB model) and $600 (32 GB model). The Acer Iconia Tab A700 is powered by a 1.3 GHz quad-core processor and comes with 1GB of memory. Running a Tegra 3 chip, this beast of a tablet also comes with a revolutionary anti-glare technology that makes it the perfect e-book reader. Iconia A700 will run on Ice Cream Sandwich Android 4.0 with some Acer customizations. It has an HDMI port, a microSD card slot, and a 1080p display to make sure that you enjoy your movies and videos in style. 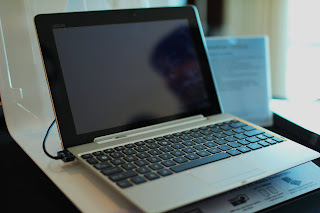 The Transformer Prime 700 Series is a variant of the original Asus Transformer Prime which we’ve talked about earlier. It comes with specs almost the same as Prime except for a full 1080p HD display. Apart from that, there are a few other changes here and there; but nonetheless, it’s still pretty much the same thing as Prime. In my opinion, it should have been called Transformer Prime HD instead of giving it a misleading name. That said, if you’re planning on buying a Prime, I’d suggest you to go for the 700 instead of its predecessor. The Samsung Galaxy Note is a cross between a tablet and a smartphone. Though the phone has been around for a while now, it was officially launched for the US market at CES. Running on AT&T’s network, Note features a 5.3-inch WXGA Super AMOLED HD display with a 1280x800 resolution. With a 1.5 GHz dual-core processor, it can give a lot of tablets a run for their money. Also included in the package is the innovative new S-pen that allows users to write, draw, and doodle on their Droid just like they do on paper. Though the dated Gingerbread is kind of a bummer, Note still is one of the best Android smartphones -- oh wait tablets -- around. Sony’s latest offering, the Xperia S, besides being backed by some powerful specs, does come with a few unique features of its own. On the specs front, the 4.3-incher comes with a 1.5 GHz Qualcomm MSM8260 Snapdragon processor along with an ample 1 GB of RAM. The most awesome feature about this phone is its 12 MP back camera that can make this phone quite popular amongst photography enthusiasts. However, the 1.3 MP camera could have been better. Other unique features include Mobile BRAVIA engine (similar to the technology found in Sony TVs), Active Noise Cancellation, and PlayStation certification. 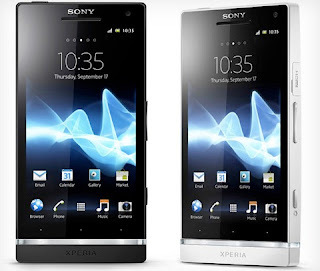 The phone runs on Android 2.3 but Sony has promised an ICS upgrade in Q2 2012. We’ve already talked about the lamentable battery life of Android smartphones, and how, to an extent you can fix them. 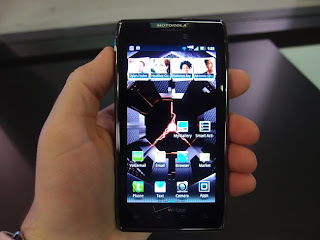 Droid Razr Maxx, as the name aptly suggests, endeavors to get rid of that problem by promising you a 21 hours of talktime and 368 hours of standby time. Not just that, the Maxx comes with a 1.2 GHz Cortex-A9 processor along with an 8 MP camera. The phone weighs just 145g and is quite thin as compared to other Android devices. Maxx is a smartphone that’s totally worth the wait if you’re a Moto Razr fan.